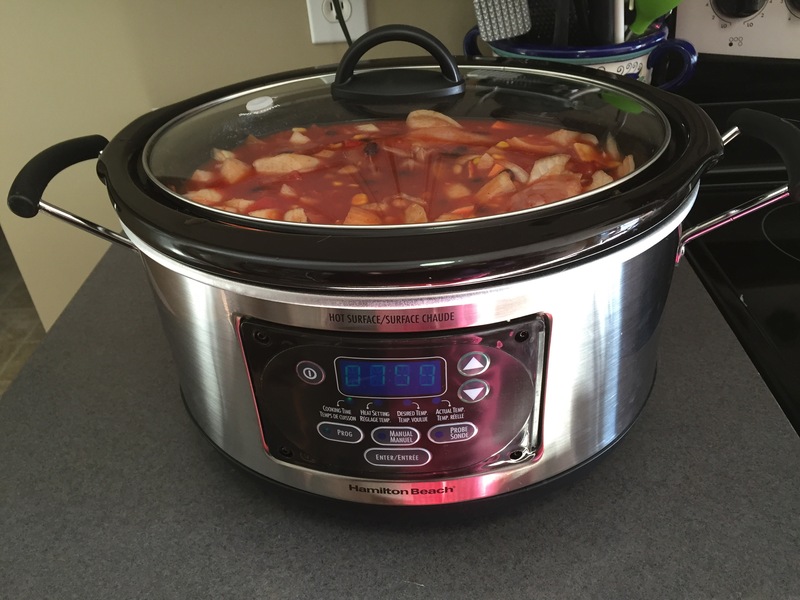 People love their slow cookers; apparently it makes cooking way more efficient (skips having to stand over a hot stove, that’s for sure), and it’s a fantastic way to make stews or pulled pork and apparently a zillion other things. 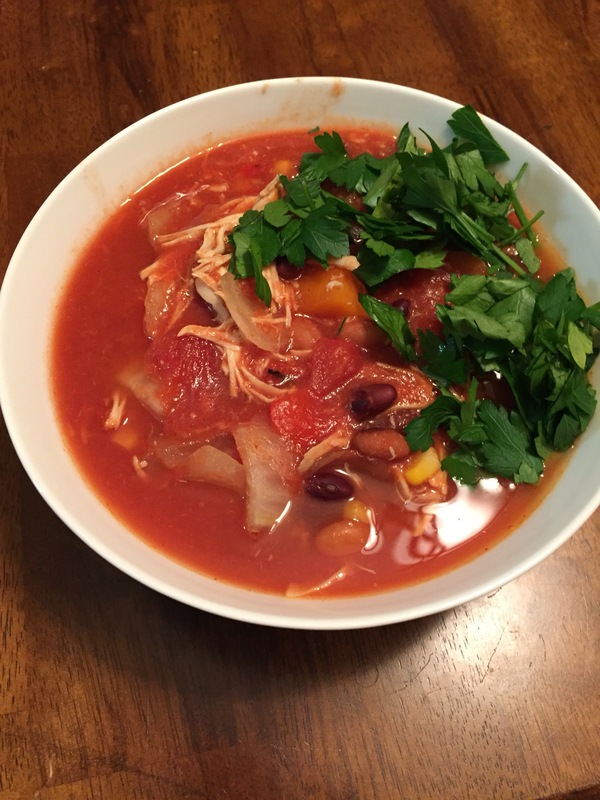 Mine is new, so I am trying out my second recipe here in it. My first recipe tried was pulled pork, and it was fabulous. 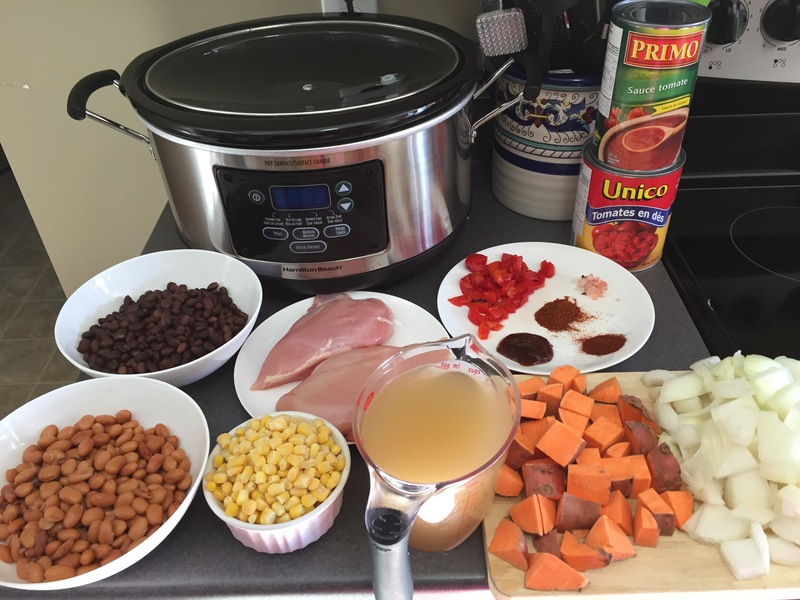 Today, I am trying out Slow Cooker Chipotle Chicken Chilli, a recipe I got off epicurious, which is my go to website when I am looking for a new recipe that isn’t in one of my cookbooks. I’m off to do life things done for the next 8 hours now while it cooks up. I must admit, it’s actually super efficient so no wonder people love these things. In fact, I could have prepped everything last night or early this morning and dumped it all in and just turned it on this if I had been unable to be home early on. 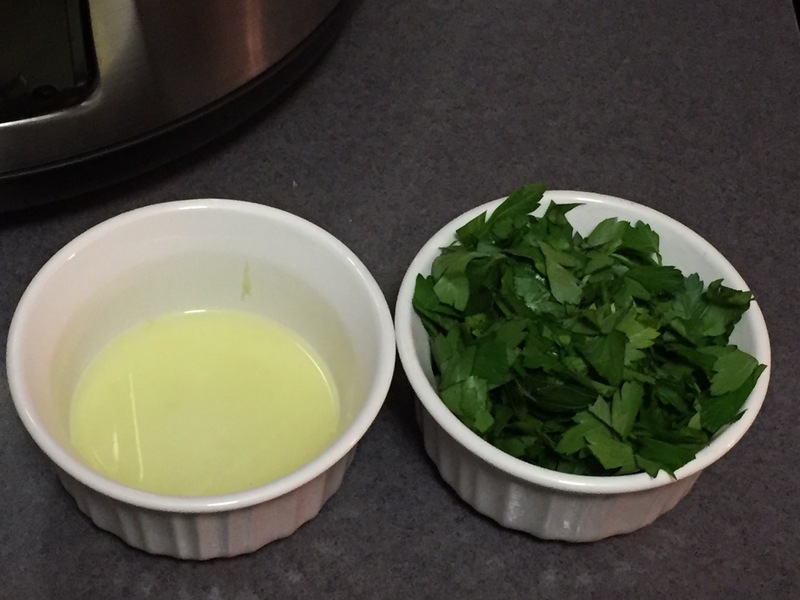 The final touches includes juice from a lime stirred in and some parsley to garnish it. Lemon and lime juice is supposed to brighten up the flavour of things like soup and chilli, or so I was told. What are the orange chunks sitting next to the onions? Sweet potatoes? What are the beans on the left side of the picture? Limas? Blacks? Over all looks like a fantastic chili recipe. Sweet potato and pinto and black beans. You should seriously make it. It was so good.